You might think patient safety is something just for those who work in a hospital or doctor’s office to be aware of or thinking about. But, in fact, it applies to all of us. 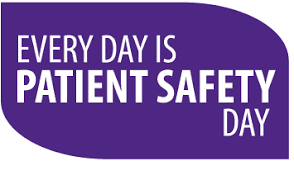 The fact is, patient safety is for everyone from the hospital administrator, top surgeon, chief nursing officer, every operating room tech and every member of the custodial staff. And, it also includes every patient. Patients want to get the right treatment and care and should do whatever they can to ensure that happens. My role as a “standardized patient”, someone who acts the part of a patient in clinical simulation exercises, was an eye-opening experience for me regarding patient safety. In my role, I noticed the students did not always check for identification or confirm who I was by scanning the bar code on my ID bracelet to see if they had the correct patient. They sometimes didn’t notice that I had removed my ID band from my wrist. They were trying to do everything right, but those steps weren’t always their top priorities. Please don’t misunderstand, most things were done correctly! But, it only takes one error to potentially cause harm or take a life. This simple step to ensure the correct patient is being attended to, can prevent any number of errors concerning medication, treatment, injections, even surgeries. My role as a standardized patient, actually helped me be a better patient and empowered me to take a more active role in my healthcare and in my family’s care as well. Remember, you are the most important member of your clinical care team. Ask questions. Get involved. Be active. It’s your health and your life. 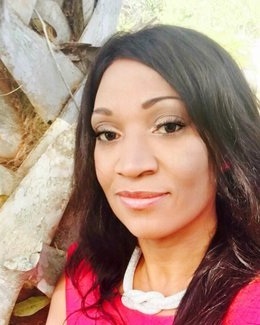 About the author: James Benson is a professor of communications and Chief Communications Officer of B & G Educational Innovations, LLC, and subsidiary ReaLifeSim, LLC. ReaLifeSim and ECHO Healthcare announced they’re working together to extend the reach of ReaLifeSim products and increase awareness and enhance patient safety through more realistic and immersive education and training. 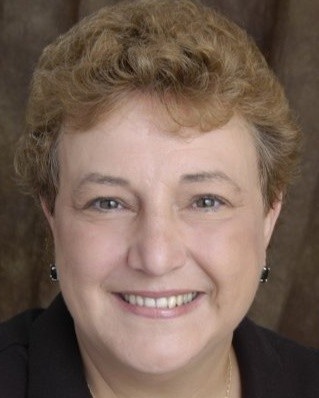 “We are pleased to welcome ECHO Healthcare to our network of collaborators as we share the same perspective on the growing importance of simulation and immersive training scenarios to raise the level of learner competence and confidence, improving patient care and safety,” explained Elizabeth Benson, co-founder and CEO of ReaLifeSim, LLC. ECHO Healthcare is a progressive healthcare simulation and technology company with over 20 years’ experience focused on improving educational experiences through innovation. “Coming from health care backgrounds, I recognized instantly that Elizabeth and I shared a common vision for improved patient outcomes through innovation,” said Kevin King, ECHO’s CEO. “We are proud to represent select global brands – now including ReaLifeSim - that are aligned with our mission to improve patient care through education,” King added. ReaLifeSim, LLC, a disruptively innovative company, has been earning industry recognition as a Top 10 Healthcare Simulation Solution Provider for 2018 by Healthcare Tech Outlook Magazine and a Top 12 Company in Patient Safety Advocacy by Medical Training Magazine. Globally utilized ReaLifeSim hybrid wearable products provide safe, risk-free, immersive learning by creating a realistic platform to work under the pressure of practicing on real people or manikins. The two companies already share a link to a third enterprise, Lifecast Body Simulation, a UK based firm creating realistic body manikins from castings of real people for use in healthcare simulation education. 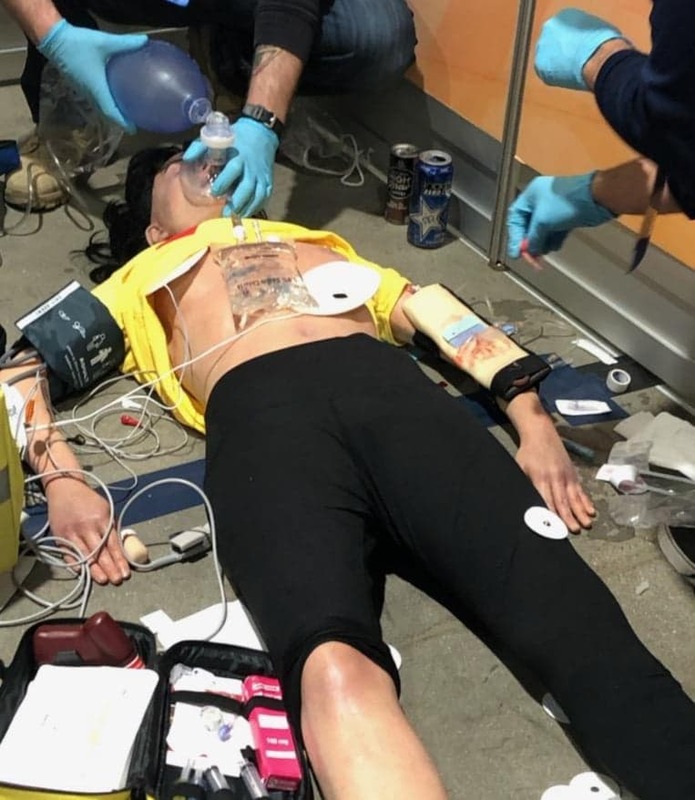 “We have been using the ReaLifeSim tools with our Lifecast bodies throughout the world to enhance the simulation abilities of the Lifecast manikins,” explained David Halliwell, Director of Lifecast. “We are pleased to see ECHO Healthcare and ReaLifeSim combining to support the growth of realism in clinical simulation,” he added. ECHO Healthcare distributes Lifecast products throughout the United States and Canada. In today’s blog we’re emphasizing the important of patient involvement to prevent medication errors. Now more than ever, patients are being encouraged to take an active role in their own safety. Doctors, nurses, emergency care providers, and other healthcare providers welcome their involvement. “The latest summary of reported medication errors (“Preventing Medication Errors: A $21 Billion Opportunity,” from the National Priorities Partnership and National Quality Forum) showed that the largest contributor to medication errors is the prescriber’s lack of knowledge about other drugs and preparations the patient is taking, which can lead to serious interactions or overdose. Only the patient has this key information required to prevent medication errors. Only the patient knows which prescribed drugs, OTC preparations, and CAMs he or she is taking and how and when these are taken . “Patients should maintain a list of all drugs they’re actually taking and show it to every healthcare provider they see. This list should include all over-the-counter medications, home remedies, and herbal medications including tea, vitamins and weight gain or loss products such as shakes, pills or bars. Sometimes they can be dangerous when you take them with other medications. Patients are key healthcare team members and must speak up to protect themselves from errors. Preventable medical errors cause hundreds of thousands of deaths each year. Clinicians are caring people, committed to providing their best care, but they’re human. And, human beings make mistakes. ReaLifeSim is committed to provide more realistic experiences in clinical skills practice to help improve patient safety. 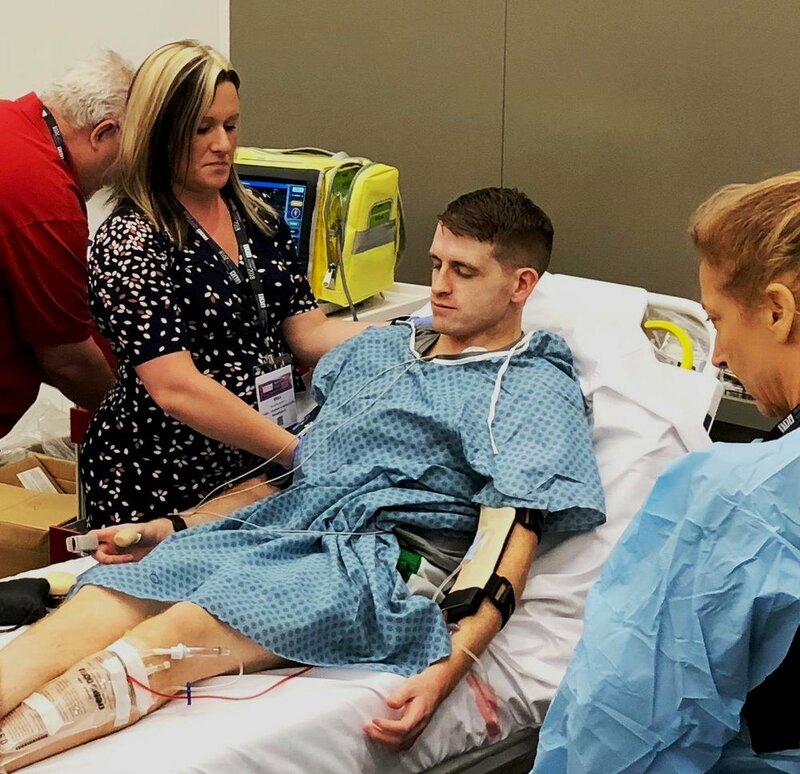 Improving the realism of clinical simulation education at the beginning of a clinician’s education and training experiences is one of the best means to improve patient safety for all, now and for the future. To learn more about ReaLifeSim products visit our website. Two years ago, we introduced our ReaLifeSim wearable hybrid IV trainer to the world at HPSN World 2017. 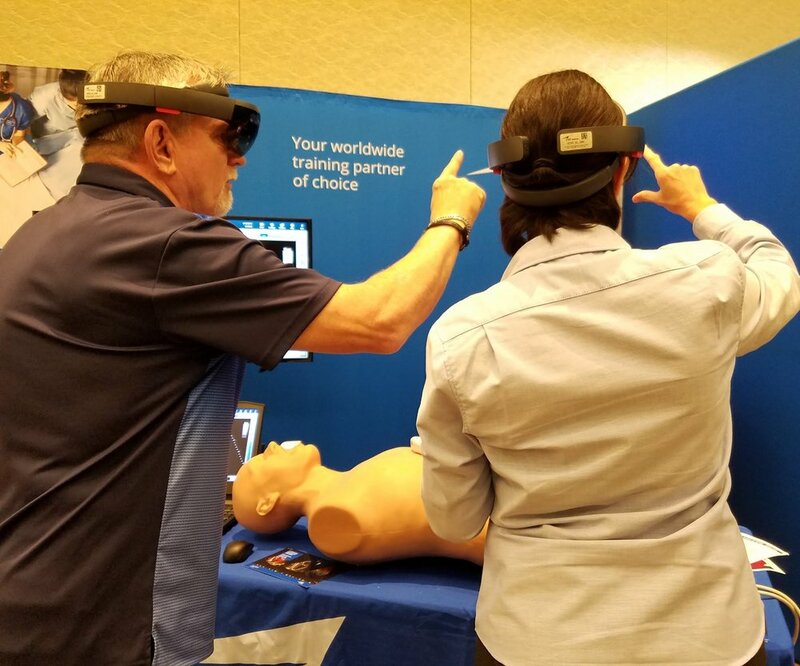 And now, having just left HPSN World 2019 where we were co-sponsors, we’re happy to report we saw and tried out some of the newest and most amazing components of healthcare simulation technology! But, even though new and innovative technologies were the focus of the product showcase, the most satisfying aspect of the conference was the topic dominating the sessions, presentations and panel discussions – patient safety. The primary focus was the most basic tenet of all healthcare providers and organizations - “do no harm.” Offered as evidence of the importance of that pithy phrase, was a narrative, told by the Sheridan family, in person and on film, about the failure of providers and the healthcare system at large, which had catastrophic results – not once, but twice – impacting every member of the Sheridan family. The documentary is called To Err is Human, edited and produced by Michael Eisenberg, and is a must-see for, well - everyone. Other areas emphasized included competence, confidence, communication and caring (often expressed as emotional intelligence). These elements are and have been the underpinning of ReaLifeSim since its inception. Competence and confidence in hands-on skills and interpersonal communication are the twin goals of our ReaLifeSim IV training products. By providing the opportunity for repeated safe practice, on a live person, future doctors, nurses, EMTs and other clinical staff develop the competence and confidence they need to deliver the safe, quality care all patients expect and deserve. We are also committed to competency in a clinician’s communication skills because research shows effective provider/patient communication is essential to empower patients to see themselves as part of the process, building a sense of trust within the patient toward the provider and improving patient outcomes. 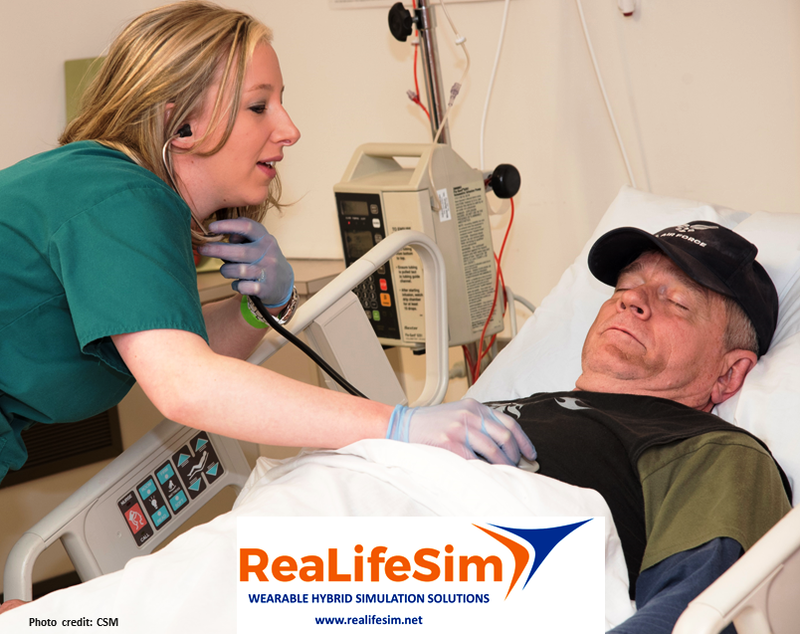 The ReaLifeSim IV trainer, worn by a live person, helps clinical learners improve their provider/patient communication with every practice session. For patient safety to take its rightful place as the centerpiece of healthcare’s culture, it must be the mindset of every participant: physician, nurse, technician, administrative staffer, custodian, contractor and patient. Each of us, in our various roles, must be accountable for ensuring a patient’s safety as they pass through each step of the healthcare process. While debate continues over the exact number of mistakes leading to negative patient outcomes, one thing is clear. There are way too many occurring every day. If healthcare is to join the ranks of other high-risk industries, such as aviation and nuclear power, who can boast a true “zero tolerance” culture for errors that cause patient harm, then it is up to all of us to demand and deliver such a system to our selves and our fellow citizens. And yet, thousands of patients are injured in some way every day due to errors in communication or technology. Why? In addition to the fact that health care providers at every level are human, complete with our inherent fallibility, I believe the rush to ensure appropriate levels of safety are built into our tools, systems and processes, too often, omit the patient along the way. Medicine’s focus on the broken part, disease or chronic condition can result in a “medicine vs. the problem” perspective often leaving the patient feeling like the second-string player on the bench forgotten by the coach. If the more recent plethora of studies on “patient engagement” and tools to assist with same are any indication, then I am hopeful for a reduction in errors leading to patient injury. However, as I noticed just today, there is a growing market in patient engagement “technologies” and I fear the technology side of that coin may get more attention. What about an approach that has the provider actually speaking with and listening to the patient? While this may sound simple, it is not easy to do effectively and efficiently. First, it must start at the beginning of any clinician’s medical education and training. It must be taught, demonstrated, practiced and evaluated with the same weight given to other clinical skills. It includes learning to ask better questions and perhaps even more importantly, using “active listening” skills to extract more precise and comprehensive information from the patient. This is important not only at the start of the provider-patient relationship, but also following post-visit or procedure instructions for self-care, medications, and follow-up reporting by the patient. The provider has the responsibility to ensure understanding so the patient becomes a contributing member of the care team. I believe improved provider-patient communication, understanding and trust will lead to better outcomes and fewer patient injuries and deaths. 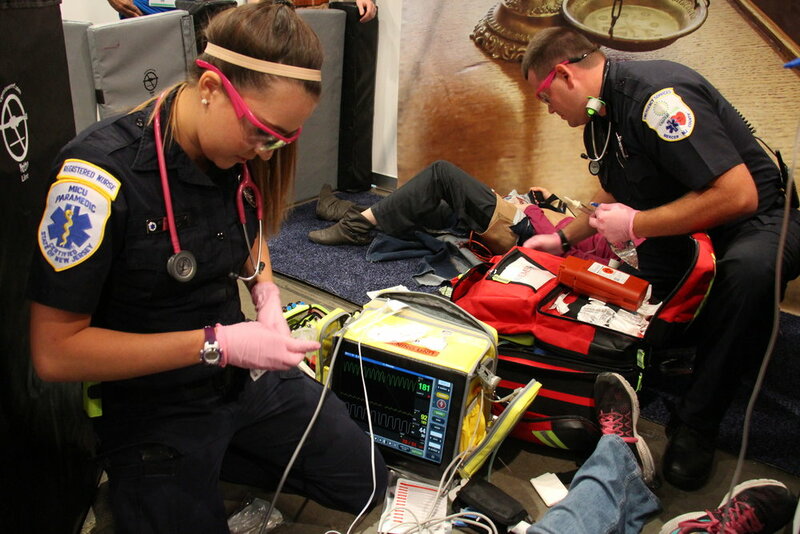 ReaLifeSim’s own Shannon Miles, Digital Marketing Specialist extraordinaire, braved the snow and ice today, to help in the EMSToday Hands-on Experience Scenario Challenge! Look for Shannon and Todd Vreeland (with EMSED by Pocket Nurse) shown in the pic below.